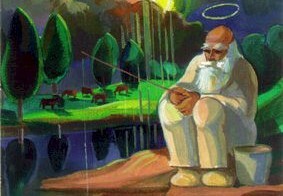 On April 25th, Prāta Vētra released their 13th record with the title "Par to zēnu, kas sit skārda bungas" (latvian version)("About the boy who plays the tin drum" english version and "Wonderful Day" russina version). It features songs in Russian, English and Latvian. To create the art work for the new album, BrainStorm have yet again co-worked with the legendary photographer and director Anton Corbijn. On the eve of the record release, i.e. on 12 April, BrainStorm also released two new music videos. In the Russian-speaking territory and internationally, a video clip for the song "Wonderful Day" was released, whose fragments were shot at the International Space Station by the Roscosmos cosmonaut Sergey Ryazansky (Сергей Рязанский). And in Latvia, a separate premiere took place - the main track from the album’s Latvian version was released "Par to zēnu, kas sit skārda bungas" ("About the boy who plays the tin drums"). Prior to the album’s release, the musicians announced their participation in two more summer festivals - “Стереолето” in Saint Petersburg and “Кинопробы” in Okulovka, as well as the date of the Moscow presentation of the "Wonderful Day" album, to be held on 13 December in the Crocus City Hall. Apart from the musical announcements, BrainStorm pleased with news about their participation in the Russian film "7 ужинов" (“7 Dinners") by the director Kirill Pletnev (Кирилл Плетнев), to be released in early 2019, where the musicians played themselves in the culmination scene of this romantic comedy. The members of BrainStorm decided not to take a break to record a new album, whose preliminary release was scheduled for spring 2018, but to create new material in a rock-’n’-roll tour environment, while travelling and discovering new territories and cities. In the summer, the artists played at the Ukrainian festival Atlas Weekend and in the autumn went on a tour in Russia, which was named "Между берегами" (“Between Shores") and included the following cities: Moscow, Saint Petersburg, Ekaterinburg, Tyumen, Omsk, Perm, Nizhny Novgorod. During breaks between performances and while travelling between the cities, the musicians created material for their album, as they were accompanied by the album’s Swedish sound producers, who, being excellent musicians themselves, took an active part in the onstage performances. Prior to the start of the tour, BrainStorm presented the first single from their future album - the song "Как я искал тебя", recorded with Marina Kravets (Марина Кравец), the only female resident of the Comedy Club. Two more singles followed - the song "Tevis Dēļ”, released in Latvia, and the international composition "My Mind’s So Lost (On You)". 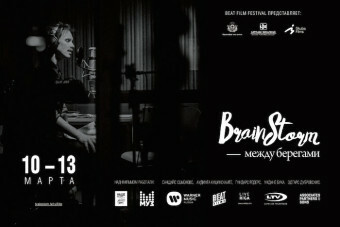 Within the framework of the autumn tour, special screenings of the documentary ”BrainStorm: Between Shores”, organised by the cinema network Karo, took place in Russian cities. The “Between Shores” tour was continued in April 2018 and was completed with the release of the new record. At the very end of 2017, BrainStorm announced their first performances of 2018 - a spring series of concerts in Great Britain, Ireland and Lithuania, a summer series in Latvia and participation in the festival “Дикая Мята”. 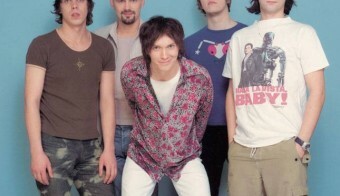 BrainStorm started the year vigorously, with the announcement of a series of concerts in Europe and Russia, with the receipt of the “Чартова Дюжина” (Chart’s Dozen) award in the Chart’s Leader nomination (the “Эпоха” (“Epoch”) song stayed on the chart for a record period in 2015) and with a sudden surprise - in February the musicians announced that from 10 to 13 March the premiere of the documentary ”BrainStorm: Between Shores”, released in Latvia at the end of 2015, would be held in 14 cities of Russia and the CIS. Special Russian screenings of the film were organised by the Beat Films Festival company. The spring was really busy for the band - during April and May, BrainStorm gave 14 concerts in Vilnius, London, Manchester, Newcastle, Birmingham, Glasgow, Aberdeen, Nizhny Novgorod, Orel, Tula, Kaluga, Obninsk and Tallinn, and completed their spring tour with a sell-out concert in the capital of Ireland - Dublin. The musicians opened their festival summer at the fifth Bosco Fresh Fest in Moscow, continued it at VKFest in Saint Petersburg, Amber Beach in Kaliningrad, Weekend Baltic in Parnu and at the first A-Fest held in Minsk. The season was completed with a beautiful culmination of the local tour - ”7 soļi svaiga gaisa” in Liepaja, having gathered 28,000 spectators at Daugava Stadium. In the summer, the third track from the new record “7 Steps of Fresh Air” - "Непокой" (”Dangers of Boredom") went on the air of Russian radio stations, topping the charts of Russian radio stations (Наше радио). In the autumn, BrainStorm returned to Russia to continue the tour with the presentation of the new album and for the first time visited Kostroma, Yaroslavl and Ryazan. Moscow and Voronezh, which formed a part of the tour, were the cities where the band performed for the second time in the same year and, specially for these cities, the band prepared a programme which consisted of both old songs and ones voted for by fans of the band. For the first time in a long time, BrainStorm also presented a fully-featured acoustic performance within the framework of an electric concert. The musicians did not forget about novelties, presenting a completely new song at all their autumn concerts ”Небо упало в нас”, recorded with the Latvian band Musiqq. The musicians were actively working on their tour schedule for 2017, planning to not only return to some of the already visited Russian cities, but to also include some new cities. The musicians’ plans also included tours to other territories. At the start of the year, the band completed a new album, with Alex Silva as the producer, who has worked with BrainStorm before, on the 2006 album “Four Shores”. The work on the new compositions took place in Berlin, at the legendary Hansa Studio. 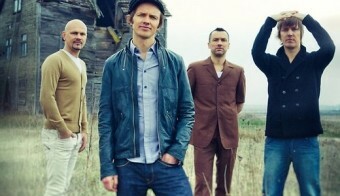 Traditionally, the first releases of their albums are always held in the mother country of the band - Latvia. 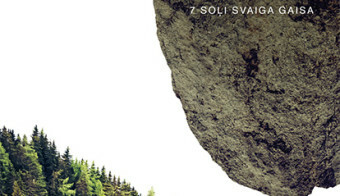 And on 10 February 2015, the first single “Ziemu apēst” from the Latvian version of the album named “7 soļi svaiga gaisa” (“7 Steps of Fresh Air”) was released. 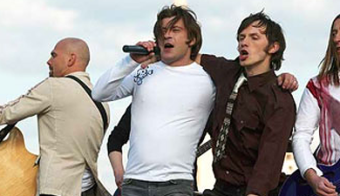 The same day ticket sales for the summer tour of the band were launched. On 19 May, two versions of the new album were released simultaneously - “7 soļi svaiga gaisa” for Latvia and ”7 Steps of Fresh Air” for Russia and the CIS. 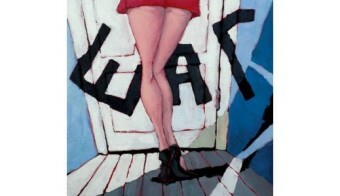 The Russian version of the album included ten songs, three of which were in Russian and one in the native language of the band - Latvian. The other songs of the album were in English. In Russia, the album was released on the Warner Music Russia label. The very first track from the new record named Epoch, having stayed on the chart “Чартова Дюжина” (“Chart’s Dozen") for almost five months, topped it twice during that period and, as a result, received the 2015 award “Chart Leader 2015”. The second track from the new album “Пропуск” (“Pass") topped the chart “Чартова Дюжина” in December 2015 and stayed on the top for over a month. BrainStorm opened the summer season at the "Нашествие" festival (Russia), where they performed as headliners on Saturday, 4 July. The musicians continued their summer concerts with a big Latvian tour, gathering more than 100,000 spectators during their four concerts in Valmiera, Ventspils, Jelgava and Riga. 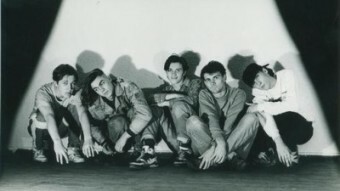 On 26 October, prior to an autumn concert season, a documentary about the band was shown in Riga - ”BrainStorm: Between Shores” - the first autobiographic film about BrainStorm and their 25-year-long history. For the first time during the entire period of the band’s existence, its members told their life stories in a very sincere way, with all the available turns and twists. Following the Riga premiere, the film was shown in cinemas throughout Latvia, enjoying success. On the same day, it was announced that the album "7 Steps of Fresh Air" had entered the first round of the 58th GRAMMY award’s official list of candidates for the best POP album of the year. On 30 October, the band launched a series of concerts to support the release of their new album with their first European concert - in London. On 11 November the musicians performed in Almaty. On 12 November, jointly with Ultra Production and “Наше радио”, BrainStorm released their first vinyl album "7 Steps Of Fresh Air", which was presented in Moscow’s Duran Bar prior to the start of their Russian tour. On 14 November, for the first time, the musicians presented their new programmeto Moscow spectators at Stadium Live, and already the next day BrainStorm went on their longest Russian tour of recent years. During a period of three weeks, the musicians visited Kaliningrad, Tomsk, Krasnoyarsk, Samara, Kazan, Ekaterinburg, Chelyabinsk, Voronezh, Saint Petersburg and other cities. On 1 December, BrainStorm’s new DVD “7 soļi svaiga gaisa” (“7 Steps of Fresh Air”), filmed during their Riga concert, was released. It is now available in DVD format and a digital HD version at www.ekase.lv! On the same day, the continuation of the 2016 local summer tour was announced and the date of the next concert - to be held on 20 August 2016 in Liepaja, at the Daugava Stadium. 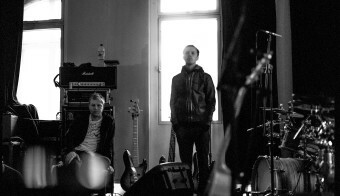 In June of 2013 BrainStorm played in the “Glastonbury Festival” and so became the first band from the Baltics to be playing in this world known festival. During the summer of 2012 BrainStorm toures in native Latvia gathering 89 500 people in 7 dates. 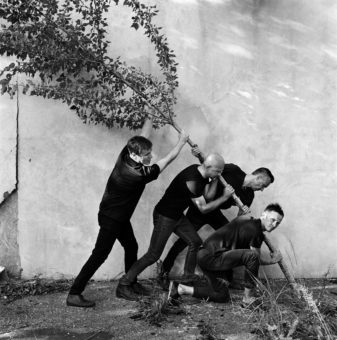 In autumn of 2012 they toured Russia in support of the album release there. On the festival season of 2012 BrainStorm played following festivals - The Great Escape (UK), Music Matters (Singapore), Rock For People (Czech Republic), Nashestvije, Kubana, Krilja and Red Rocks (Russia), Watergate (Estonia), Sziget (Hungary), Vilnius Music Week (Lithuania), Culture Collide (USA), Live Sessions Day (Spain), e.t.c. 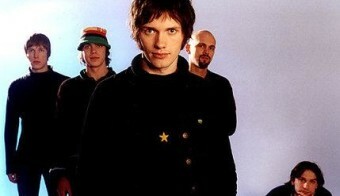 In 2011 the band returnes to studio and works on a new album that is released in 2012. “Another Still Life” was written and recorded in the historic town of Hudson, in the Hudson valley upstate NY, and was mixed in a small studio beneath Radiohead's management office in Oxford, England. English version of the album titled „Years and Seconds“ was released in 2010. 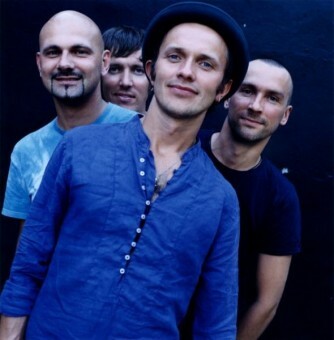 Fran Healy (Travis) contributes lyrics for the song „Count My Fingers“ and Ken Stringfellow (The Posies) also has written lyrics for a track "Begging For Your Starlight" while British rapper Mercury Award nominee Ty is featured on the recording. With “Years and Seconds” album release band performed at leading global music industry festival SXSW in USA; supported The Magic Numbers in London, UK and had 2 sold out solo shows in such London’s venues as Jazz Café and The Relentless Garage; played main stage at major festival in Beijing China “Modern Sky Festival” and returned to Helsinki, Finland with sold out show in club “On The Rocks”. At the last quarter of the 2010 BrainStorm released last decades “Best off” in Latvian (sold Platinum) and had 2 sold out shows at Arena Riga in total selling 24 000 tickets. 2009 the same album with Russian/English lyrics was released in Russia and Ukraine. Sold out solo shows and appearances in Russian leading festivals followed. 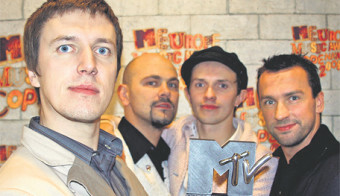 In 2006 first ever Best Baltic Act nominee was introduced on annual MTV Europe Music Awards ceremony and the decision of MTV viewers were unambiguous - the trophy belongs to BrainStorm. In 2005 BrainStorm once again teamed up with producer Alex Silva who this time worked on the whole album recording „Four Shores“. BrainStorm continued to work on the photos and artwork with A.Corbijn who has became a good friend and advisor. In between the recordings BrainStorm jumped into a tour bus and traveled ten European cities to support R.E.M. Album „Four Shores“ through the gateway duet with Russian Bi2 secured entered the Russian market. In Latvia album support tour was taken to the next level and final show in Riga took place in the biggest outdoor venue „Mezaparks“ selling 40 000 tickets. 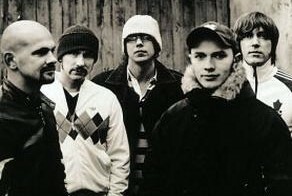 In 2004 BrainStorm in collaboration with well-known Russian band Bi-2 recorded a song „Skolzkije Ulici“ that was featured in Bi-2 album „Inomarki“. The cooperation proved to be successful. The song peaked number one position in Russia, Latvia and Ukraine and safeguarded BrainStorm’s breakthrough in Russia. 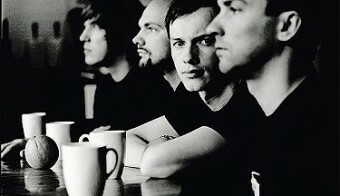 For recording of the next album „A Day Before Tomorrow“ (2003) BrainStorm choused to work with two producers - German’s Echo award winner producer Alex Silva who brought more of a rocky sound in and Steve Lyon. 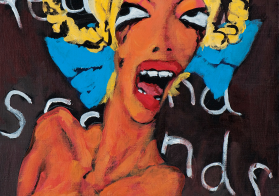 Photographer Anton Corbijn stepped in to create the artwork and pictures. The final show of album support tour in Riga, Skonto Stadium was seen by 25 000 people and broke the record of the attendance of this stadium that previously belonged to Depeche Mode. Inspired by such a welcoming reception BrainStorm recorded album „Online“ (2001). 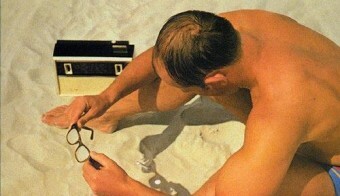 Ethereally dreamy single „Maybe“ brought BrainStorm to other part of the Europe. Radios in Eastern Europe and especially in Poland couldn’t get enough of the song. After they conquered the hearts of music lovers in native Latvia and became a household name, the band took a chance on reaching the audiences beyond the borders of their motherland. 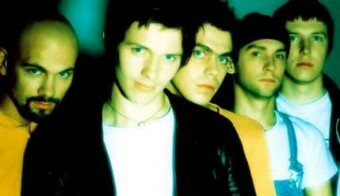 First internationally released album „Among The Suns” with its catchy single “My Star” in year 2000 proved the ambitions were satisfied. “My Star” finished third in Eurovision Song Contest 2000. 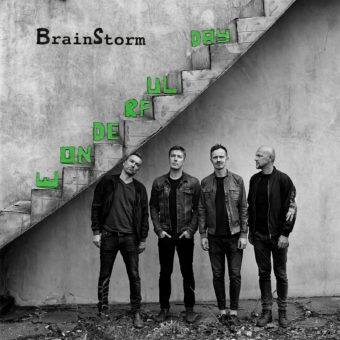 Album got released in Europe and particularly Belgians, Scandinavians and Baltic people embraced BrainStorm’s piece of work. „My Star“ for 16 weeks remained on Belgian national airplay charts. Band toured with own sold out shows and played festivals across Europe. During their career BrainStorm have released albums in Europe and Russia, supported bands like R.E.M., The Rolling Stones, Depeche Mode, e.t.c.. World-known photographer Anton Corbijn has made photos for three albums and designed the logo of the band. As A.Corbijn has described: “There is this beautiful thing that great bands have something… Identity and I think BrainStorm has that”. 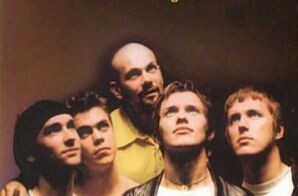 1999. gadā Prāta Vētras dalībnieki laiž klajā savu ceturto albumu "Starp divām saulēm" un savu pirmo starptautisko albumu "Among The Suns", kas ir albuma "Starp divām saulēm" angliskā versija. Šis albums ierakstīts Zviedrijā un Dānijā un ir viens no dārgākajiem Latvijas mūziķu ierakstiem. Visi pieci albuma singli — "Puse no sirds", "Starp divām saulēm", "Lec" ("Try"), "Prom uz siltajām salām" ("Ain't It Funny") un "Tu izvēlējies palikt" ("Welcome to my country") sasniedz augstākās pozīcijas latviešu hitu parādē drīz vien pēc to klajā nākšanas. Albums sasniedz arī Lietuvu, Igauniju, Grieķiju, Turciju, Zviedriju, Somiju, Dāniju, Beļģiju un pat Japānu, Honkongu un Ungāriju. Dziesmu "Under My Wing" un "Weekends Are Not My Happy Days" videoklipi tiek iekļauti Francijas mūzikas kanāla MCM pleilistē. gadā Prāta Vētra sadarbībā ar grupas Fool's Garden producentu Volkeru Hinkelu ieraksta savu pirmo singlu angļu valodā — "Under My Wing". Singls tiek iekļauts Baltijas valstu radio apritē, kā arī sasniedz citas valstis. Neilgi pēc tam Prāta Vētra izcīna Grand Prix balvu Zviedrijas festivālā Karlsham. Tiek parakstīts līgums ar "Mikrofona Ierakstiem", vienu no latviešu lielākajām mūzikas ierakstu kompānijām un izdots jauns albums "Viss ir tieši tā kā tu vēlies". Albums tiek atzīts par "zelta", un padara Prāta Vētru par populārāko grupu Latvijā. Par albuma populārākajām dziesmām kļūst "Mans draugs", "Neatgriešanās" un "Tavas mājas manā azotē",kas deviņas nedēļas ieņem Airplay topa pirmo vietu. Šajā laikā Kaupers piedalās Dailes teātra mūziklā Šveiks, kura muzikālo celiņu rada Prāta Vētra, tas tiek izdots atsevišķā albumā. Šveiks, likumsakarīgi, kļūst par apmeklētāko muzikālo izrādi Latvijā. 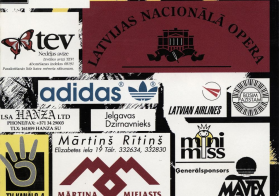 1995. gadā Prāta Vētra pirmoreiz iekaro visas Latvijas uzmanību ar dziesmu "Lidmašīnas", kas kļūst par visu laiku pārdotāko singlu Latvijā, kā arī iegūst radio Super Fm gada dziesmas titulu. Šajā gadā grupa uzstājas arī Vācijā un Lielbritānijā. Pēc eksperimentiem ar alternatīvo mūziku, grupa atgriežas pie sākotnējā skanējuma un izlaiž jaunu albumu "Veronika", kas kļūst ļoti populārs pusaudžu auditorijā. Populārākās albuma dziesmas ir "Dārznieks", "Apelsīns" un "Lidmašīnas". 1994. gads bija grupai mazāk produktīvs, singls "Vietu nav" tika pārdots tikai 500 eksemplāros. 1993. gadā iznāk grupas pirmais albums "Vairāk nekā skaļi", tā populārākajai dziesmai "Ziema" tiek nofilmēts videoklips. The Story of BrainStorm is that of best friends who grow up together, went to the same school, shared the same dreams and together fulfilled them. Born in Latvia which was then part of the giant Soviet Union, they experienced a Soviet upbringing, the battle for a freedom and were part of the first generation to embrace new possibilities the freedom brought. Experiencing these two radical systems has shaped their musical style.